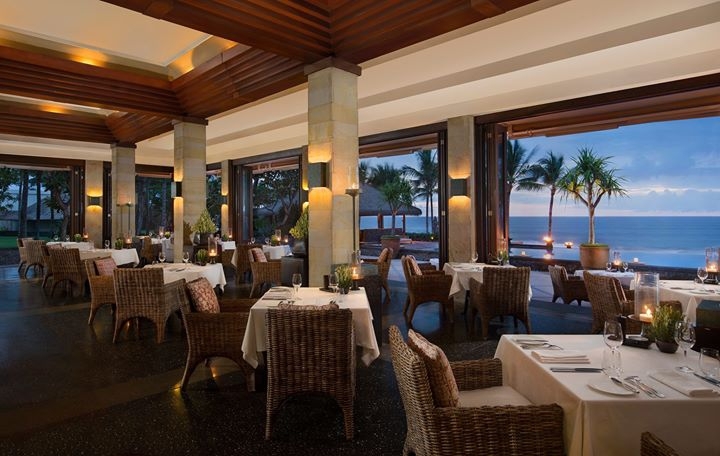 This March, The Legian Bali’s signature “Four Hands” dinner will play host to the revered Philip Johnson of e’cco bistro and Madame Rogue, Brisbane. Unpretentious and simple, yet still incredibly sophisticated, Philip brings a modern Australian touch to his beautiful creations. Paired with Luke MacLeod’s knowledge of Bali’s best kept secrets and fresh array of ingredients, the duo will take you on a unique culinary journey of the senses. With such a long-standing history of international achievements, the remarkable collaboration of Philip’s modern Australian touch and MacLeod’s attention to detail will no doubt bring an impressive start to The Legian Bali’s “Four Hands” dinner of the year. The evening will begin with cocktails and canapés served at The Lobby Lounge from 6:30 to 7:30 pm, before guests are ushered into The Restaurant overlooking the infinity pool and Indian Ocean.